When I was in New York in March this year squishy toys of all descriptions were everywhere, and now they have hit South Africa’s shores. They are the new craze replacing last year’s fidget spinner. There are nearly two million posts with the hashtag #squishy on YouTube and Instagram. These colourful toys are made of marshmallow-like polyurethane foam. They can be squashed into a really small ball and when you let them go they bounce back to shape. High quality ones do so really slowly which is part of the fascination. They can look like a cupcake, a box of popcorn, animals, french fries, flowers and much more. The range is endless. I particularly like the Soft’n Slo Squishies™ from Orb. While it’s not cool for your primary or high school child to take their well-worn teddy bear to school for comfort, it is cool for them to have a sparkly unicorn squishy in their pocket. 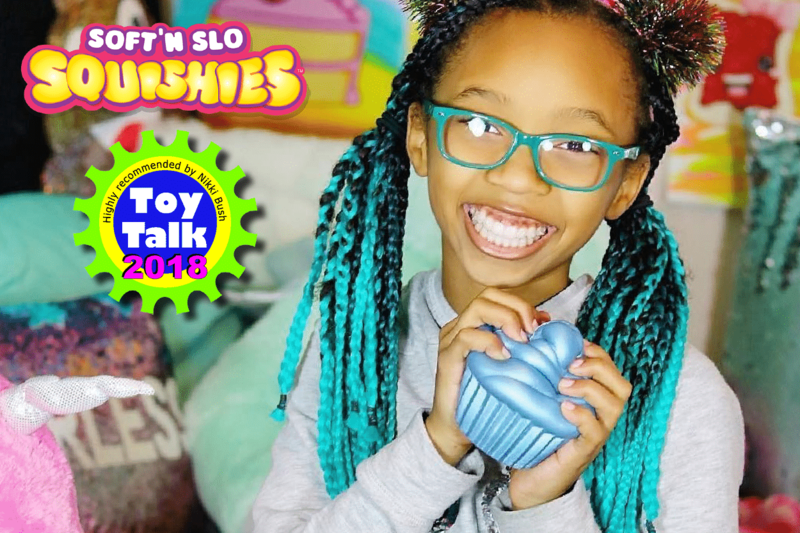 “Squishies combine the comfort and familiarity of a stuffed animal with the built-in activity and cool factor of a fidget spinner…..Squishies are socially acceptable and offer satisfaction with each squeeze,” says Anneliese Griffin, editor-in-chief of Brooklyn Based in her article on the squishy phenomenon and how it illustrates our deep need for human touch. Why do we all like Squishies? We live in a frenetic world and can all do with a bit of calming down. Play with Squishies while watching TV or waiting in the car for your kids and feel yourself instantly destress. The motion of squeezing and releasing is very therapeutic. The squeezing is a form of deep pressure and that stimulates the proprioceptive sense, sending information and sensations to the brain via the muscles and the joints. Therapists often use deep pressure when children need calming. Deep pressure facilitates neurological pathways that help shift the way the nervous system is processing. Squishies provide for sensory exploration in an increasingly screen-based world that ignores many of the human senses. Keep a large one on your desk and you can give it a squeeze or a whack if you feel frustrated or angry. I have done this many times as I have experienced frustration with service providers while hanging endlessly off the end of the phone waiting for someone to answer my call in a call centre. Children who are fidgety, nervous, stressed, or feeling anxious often twirl their hair, pick at their fingers, bite their nails, or find the nearest thing to touch and fiddle with. It’s a way of self-soothing. 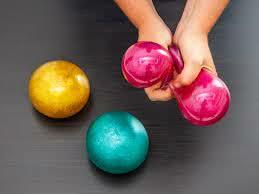 They are good for strengthening hands for fine-motor control such as holding a pen, pencil or a tennis racquet. Bubbleezz™ and Slimiballz™ form part of the Orb range of tactile collectibles and are also fabulous sensory toys loved by both kids and therapists alike. 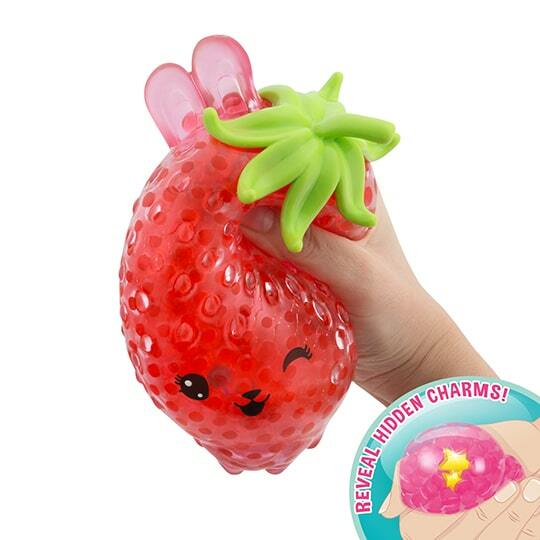 Bubbleezz™ are a series of adorable semi-translucent characters filled with wiggly, wobbly Bubbleezz Beadz™ that create a silly satisfying feel when squeezed, transforming as they flow and grow in your hands. Slimiballz™ are filled with slime that not only flows and grows in your hands but it has a peculiar sense of weight about it that is different to the Bubbleezz™. When dropped on a surface they also create more of a splat-type effect without bursting. All these products are completely fascinating but commonsense should should prevail. Do not give them to children who are still in the mouthing, chewing or biting phase due to the choking hazard that could result from a blocked windpipe. This would apply to any gummy and stretchy-type toys. And do not put them in a microwave! Bubleezz™ jumbo R199.99 (there are so many on the market, this just gives you an idea of the price range. Retail outlets: These products are available on www.takealot.co.za and in the following retail outlets: Hamleys, Toy Kingdom, Game, Dischem and independent toy stores.